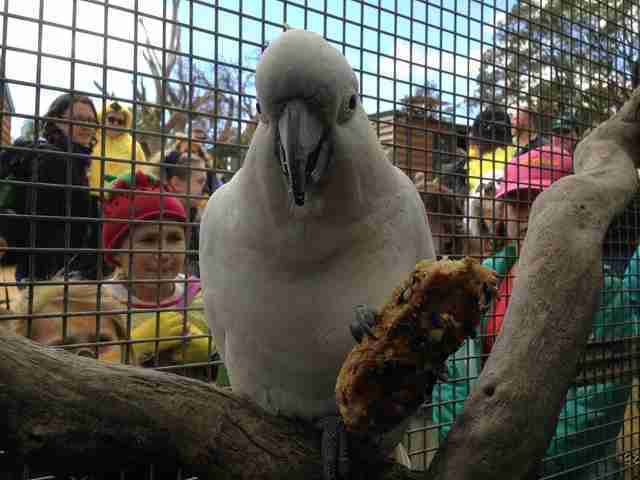 A friendly sulphur-crested cockatoo just reached a huge milestone - his 100th birthday. 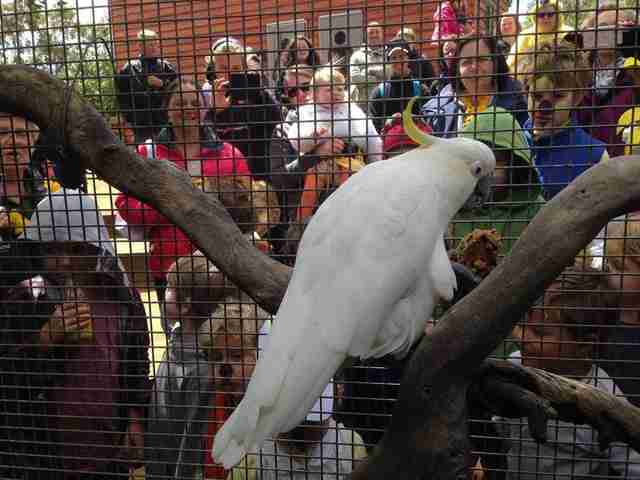 Fred was the bird of honor over the weekend at his home on a wildlife sanctuary in Tasmania where he was celebrated with a party. The species, native to Australia, is known to live a remarkably long time - but Fred is still going strong well past the 40-year lifespan these birds typically live in the wild. 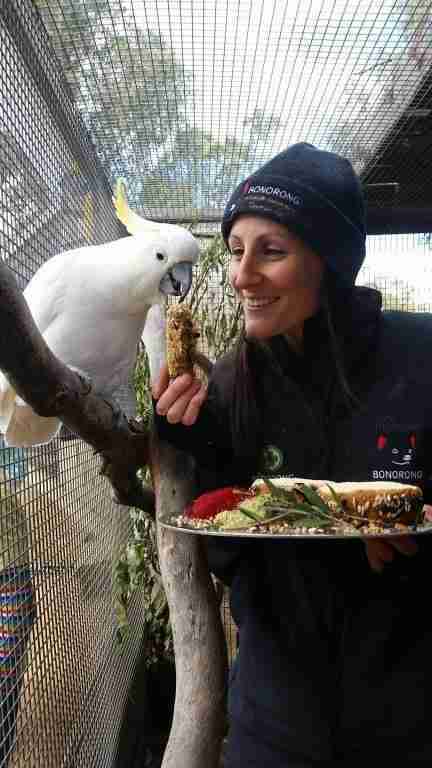 According to Australian Broadcasting Corporation, Fred was rescued by staff at the Bonorong Wildlife Sanctuary outside of Hobart after the death of his owner two decades earlier. At that point, the already-elderly bird had spent most of his life in captivity, so it was decided that he'd live out his days under their care. Since then, Fred has become something of a sanctuary celebrity - proofed by the adoring crowds that turned out for his party. Sanctuary director Greg Irons told Daily Mail Australia that Fred's age isn't know for certain, but that chances are he actually became a centenarian a few years back. "We aren't 100 percent sure but we think that he is well past," he said. "He was 95-years-old when I started working, which was 10 years ago - we just waited a bit longer to make sure he is past 100." But all the attention devoted to Fred on his birthday was for more than just a celebration. 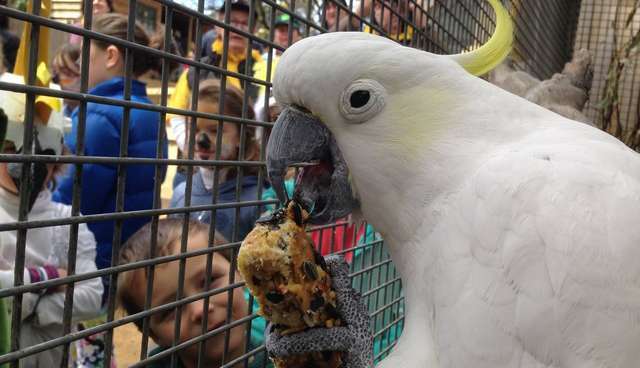 The sanctuary, whose focus is on rescuing, rehabilitating, and releasing wildlife, also used the occasion to remind guests that they should give a second thought to keeping sulphur-crested cockatoos as pets, as they require a lifelong commitment. Fortunately for Fred, even after outliving his owner, he's still surrounded by many folks who care.